Saxon Warrior wins the Racing Post Trophy at Doncaster for trainer Aidan O'Brien and jockey Ryan Moore. 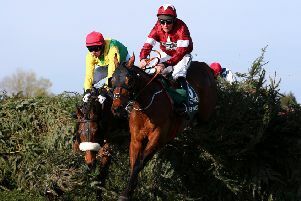 Cheltenham has just passed, and the Grand National Festival at Aintree is just around the corner. But already under way is the new Flat campaign, and the action will soon be cranking up a gear with Newmarket’s Craven meeting and Newbury’s Greenham meeting. At the backend of the 2017 season, I pinpointed 20 juveniles to have caught the eye and likely to blossom into smart horses this year. So I thought it would be a good idea to rewind and remind you of that list, as it appeared last November.